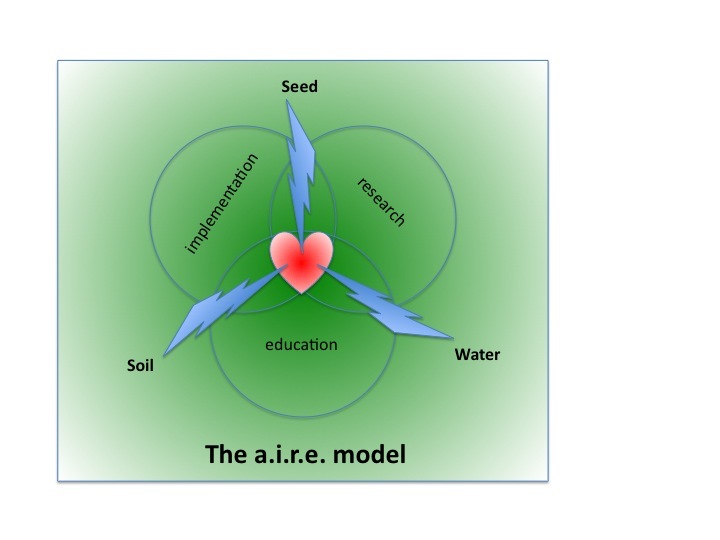 Agriculture Implementation Research & Education (AIRE) is a non-profit organization was formed to help reconnect people with the land, their food, and ecology while addressing the growing problems associated with the industrial food system, climate change, & nature deficit disorder. Our programs include agricultural educational presentations and programs; research in and demonstration of innovative agricultural management for resiliency in times of climate change and drought; and media production projects for inspiration and education. We are known in the region for connecting young people with agricultural experience through garden projects in the schools. We conserve local food traditions by hosting workshops around food processing, cooking, and seed saving. We can often connect and host groups with agriculture experience in the area. Based in Taos, New Mexico; we continue the age-old agricultural traditions around resilient agriculture, acequia irrigation and maintenance, and traditional knowledge systems including the management and use of wild plants for food and medicine and other traditional seasonal land-based activities. We strive to create the conditions for community food sufficiency and the improvement of physical and spiritual well-being.